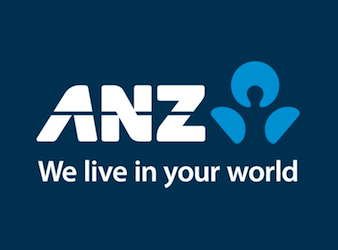 ANZ has been named Australia’s most valuable bank brand adding AU$106 million to its value, resulting in a total brand value of over AU$ 6.8 billion and a rank of 39th in the world over the past year, according to a new study. 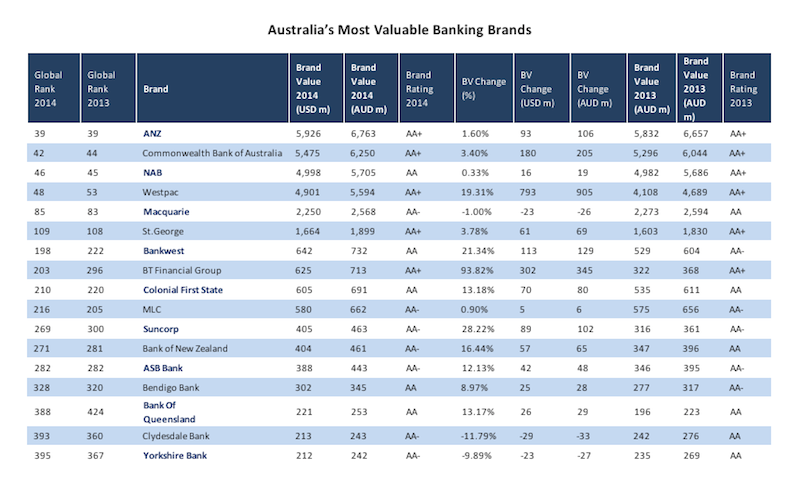 The Commonwealth Bank came in second in the rankings with a brand value of $AU6.25 billion. NAB ranked third with a healthy $AU5.7 billion. Westpac has also had a successful year growing its brand value by19% – a rise of AU$905 million, bringing its total to AU$5.6 billion. The Brand Finance Banking 500, released today, is an annual study conducted by brand valuation agency Brand Finance and published in the February edition of The Banker magazine. In the study, the world’s biggest banks are ranked by their brand value, with the results reflecting industry trends and indicating future developments. The fastest gains have been made by the lower ranked bank brands however. BT Financial Group has enjoyed a 94% increase to a total brand value of over half a billion US dollars. This means it places 203rd globally, having jumped 93 places up the global rankings. Suncorp is up 28% while Bankwest has also seen an increase of over 20%. Bankwest has also improved its brand rating from AA- to AA. The brand rating is a benchmark of the strength, risk and potential of a brand, suggesting that Bankwest is poised for further improvements next year. Wells Fargo has held its position as the world’s most valuable banking brand, with a total brand value of over US$30 billion. Western brands in general have shown promising improvements. HSBC’s brand value has grown by $US 4 billion, while UBS’ is up US$3.35 billion, a 46% increase. Meanwhile the total for Greece is up over 100% as successful austerity measures have begun to rapidly transform the country’s economic outlook. Notable results from elsewhere in the world included the halting of rapid growth in some BRIC countries, namely Russia, India and Brazil. Their national brand value totals are down 6%, 13% and 23% respectively. China, however, continues to grow strongly. Its banks have added a total of nearly US$19 billion and there are now three Chinese bank brands in the global top ten. QNB is the Middle East’s most valuable bank brand for another year with a brand value of US$1.8 billion. However, banks from the UAE represent the greatest total brand value of any Middle Eastern country, with a combined brand value of nearly US$6 billion.